how learning analytics improves online instruction. Ubell says that it is not technology alone, but rather unconventional pedagogies, supported by technological innovations, that truly activate today’s classrooms. He argues that innovations introduced online—principally peer-to-peer and collaborative learning—offer significantly increased creative learning options across all age groups and educational sectors. 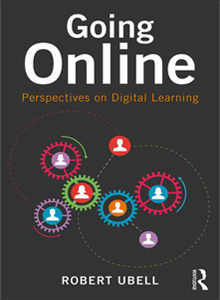 This impressive collection, drawn from Ubell’s decades of experience as a digital education pioneer, presents a powerful case for embracing online learning for its transformational potential.